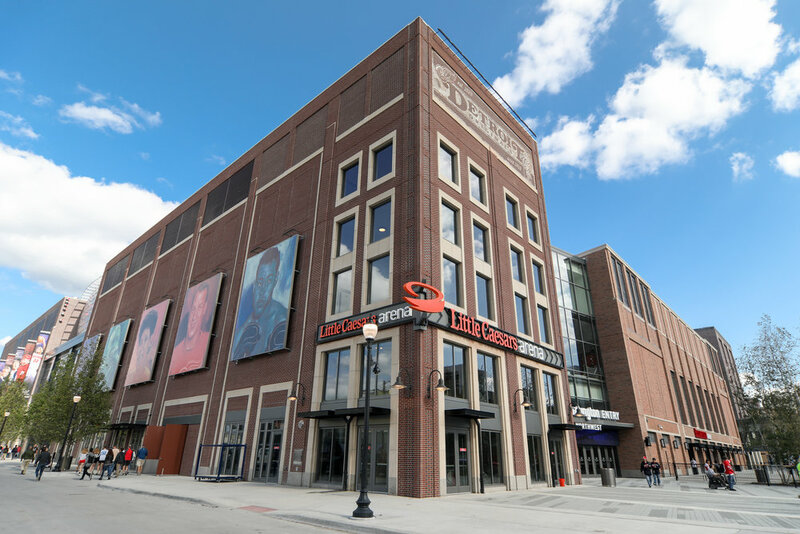 LCA OPENS TODAY! WE WENT AND TOURED THE LONG AWAITED ARENA AND PICKED OUT THE FIVE THINGS WE'RE MOST EXCITED ABOUT. The idea of a via is something that's just starting to pop up in recent arena builds. It's basically a much swankier concourse that's two stories high. It's really light, bright and airy and is composed of special tiles that allow a super crisp reflection of whatever hype video the Wings/Pistons are pushing. WHY WE LOVE IT? As new as The Via is, it's got a lot of history in it. It hosts the bench the Red Wings sat on for the last 30 years at the Joe as well as the original Olympia sign that's been in storage for the last 40. We loved the Joe because of it's history, not for of the food. WE FINALLY have some more than decent (not to mention decadent) food options available. We're talking half-pound bacon wrapped hot dogs, Moroccan lamb and of course PIZZA. WHY WE LOVE IT? Each level is packed with food stands and the Arena App will let you know how many people are at each. We welcome anything that tells us how to avoid lines! We can't wait for this space, located OUTSIDE of the arena. It has a massive big screen to watch games so fans can feel a part of the action without even purchasing a ticket. There are a ton of restaurants that let out onto the area filled with picnic tables. WHY WE LOVE IT? It's the best of both worlds. You'll can find us hanging out here during games and concerts. 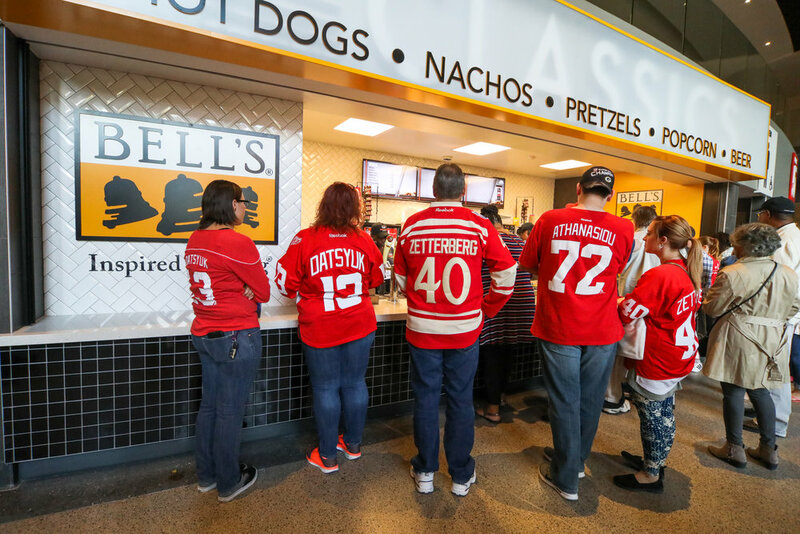 A lot of Red Wings fans seemed pretty mad about having to "share" their arena. Our thoughts? The more the merrier. We're pumped we don't have to drive all the way to Auburn Hills to catch a Piston's game. WHY WE LOVE IT? We're one of the only cities that have all four major sports teams within a block of each other and THAT my friend is something special. Besides the opening act, we're pretty pumped about the MASSIVE shows being booked at LCA. I mean, Dead & Co., Katy Perry, Paul McCartney (2), Guns N' Roses, Jay-Z and Lady Gaga. WHY WE LOVE IT? The acts listed barely scratch the surface. See a list of all the shows lined-up HERE.